Located on the western border of the Chobe National Park, in the Chobe Forest Reserve, is Chobe Elephant Camp. Built to take advantage of the incredible views, the camp is located high on the edge of a rocky ridge overlooking the sweeping floodplains of the famous Chobe River. Arrive at this comfortable refuge, where you can happily put your feet up and kickback after an impressive safari day. This eco-friendly camp is built from the red Kalahari sands that dominate the northern part of Botswana and radiates equal warmth and hospitality. The camp found a perfect balance between luxury and comfort, while respecting the environment and its inhabitants at the same time. 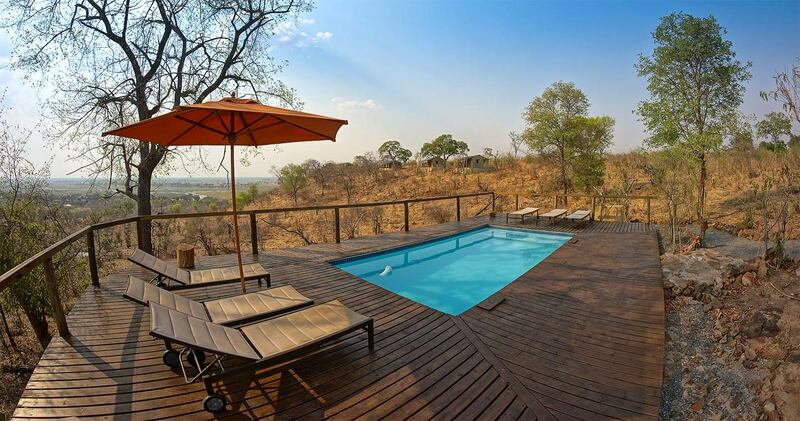 Perfectly located in one of world’s best game reserves, you can take full advantage of everything the bustling Chobe River and its surroundings has to offer. 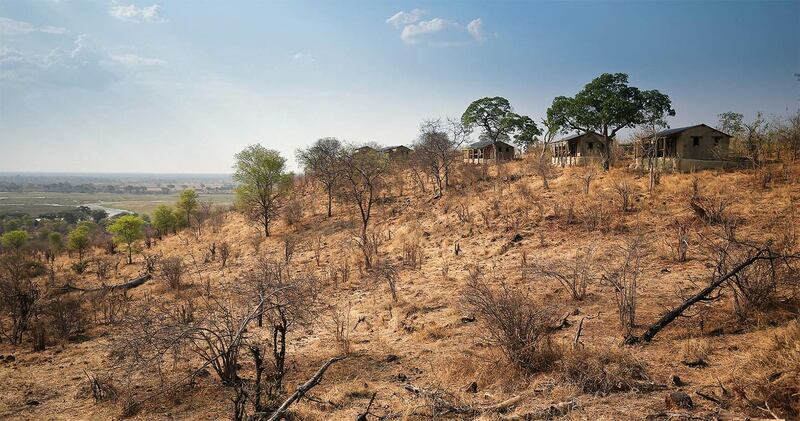 How about interacting with the local Sibuya Tribe who live within this wildlife haven? Or take an hour to simply gaze at an elephant family crossing the river. At Chobe Elephant Camp you are up for a true African adventure, where you can reconnect with yourself and nature – starting at sunrise when you wake up to stunning views from the comfort of your private deck. Welcome to a new day in Botswana. 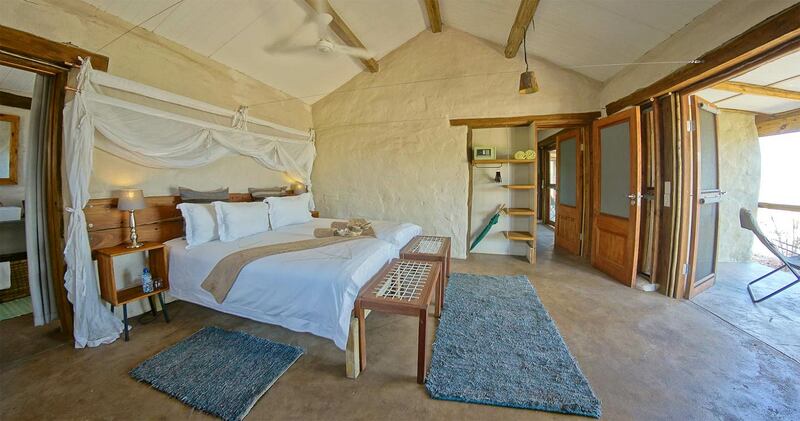 With ten rooms and one family suite Chobe Elephant Camp can comfortably accommodate 24 guests. Polished floors, exposed wooden beams and weathered furniture capture the charm of an African homestead, while a contemporary style adds to the feeling of ‘old meets new’. 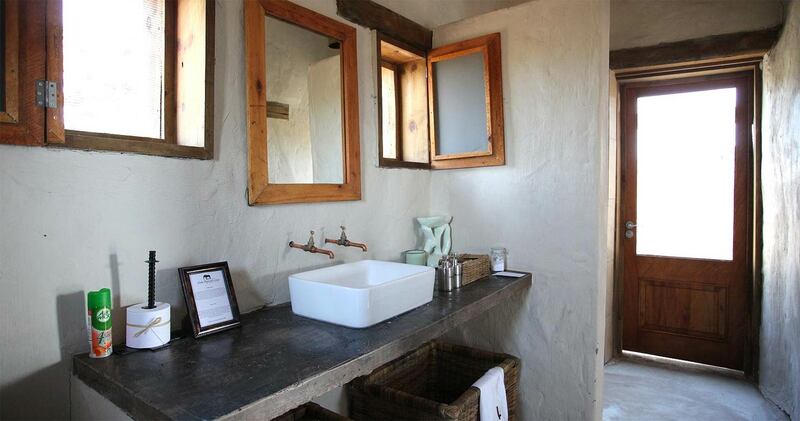 All rooms are en-suite with indoor and outdoor showers (and you will love showering under the moon light) and rustic decorations, using tranquil colours and natural materials, enhancing the ‘old farm’ vibe. The small covered verandah with wonderful views is priceless. 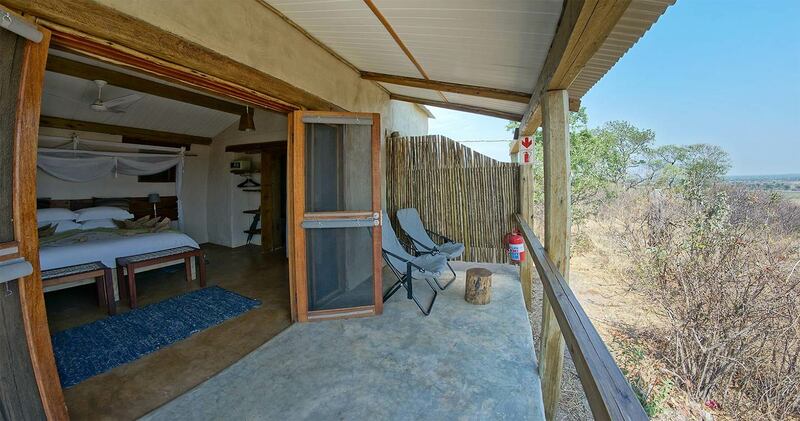 Take the sandy walkways to go from your room to the cosy communal main lodge. Here again: the wide open front takes full advantage of the incredible setting, so order yourself a cocktail and let tranquility set in, while you let the wildlife parade pass by. In the communal area you will find an inviting lounge, dining and bar area, as well as a reading nook to settle into. The small, refreshing swimming pool and lounging area are also built on raised decks to - you guessed it - enjoy the magnificent views. From river cruises, to game drives, guided safari walks and local village tours: all the activities offered at Chobe Elephant Camp provide a 360° experience of Botswana. The guides at Chobe Elephant Camp are professionals and great ambassadors of Botswana. They will do anything they can to make your stay memorable: finding rare wildlife, explaining every detail about an elephant’s life, pointing out the smallest creatures or seeking that perfect photo opportunity. Don’t be surprised if your guide can identify every birth call along the way; pretty impressive considering that Okavango hosts about 400 species. And not only the birdlife is abundant: kudus, zebras, large elephant herds, lions, a leopard on the kill, crocodiles, buffalo, and the rare wild dog – they all roam the savannahs and forests of Chobe National Park. Start your first safari activity early in the morning with freshly brewed coffee or tea and homemade muffins ‘to go’ and witness the bush waking up. After a second activity in the afternoon – maybe another game drive, relaxing cruise along the river (elephants galore!) or learning about the local Sibuya tribe during a village walk - there is delicious wholesome meal waiting for you. And after all these delights, falling asleep with the sound of roaring lions or calling hippos in the background makes your Botswana circle complete. We enjoyed our stay at Chobe Elephant Camp - our first Safari Camp. Good rooms, everything we required. Shared evening meals were great with entertaining discussions with all guests from around the world. Our Guide Bashin was friendly and very knowledgeable. Many highlights - from the animals, picnic lunch in the wild, and the afternoon boat trip and swimming elephants made our stay very memorable. This was our first safari and it was great! All the staff were very friendly, our rooms were pristine and the food was delicious. Of course it is all about the animals and we saw plenty! Special thanks to our guide Mike who gave 100% everyday to make sure we didn't miss anything. The highlight was the Chobe River Cruise, I still can't believe how close we got to crocodiles, hippos & elephants. 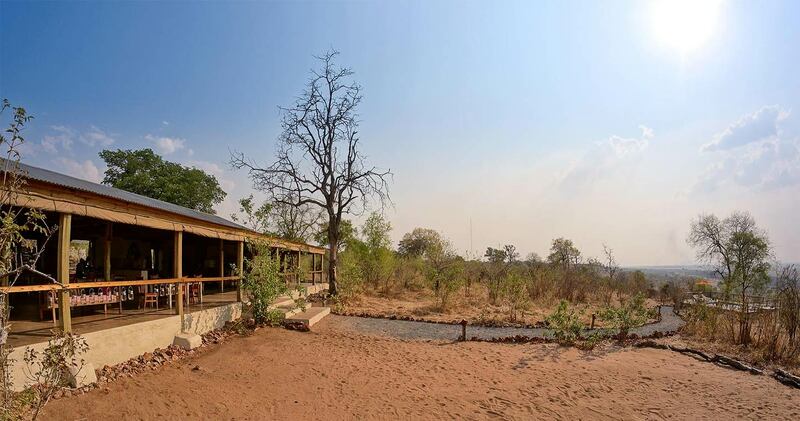 The lodge has been entirely constructed from sandbags: a natural insulator that combats the harsh African climate. Read all about travelling to Chobe Elephant Camp on our getting to Chobe page. The minimum age for children at Chobe Elephant Camp is 2 years old. Children under 12 years must share with parents. Children under 12 are not permitted on walking activities. We hope you have found all information needed to decide that Chobe Elephant Camp in Chobe National Park is the perfect place for your next travel adventure. Please fill in the contact form and we will get back to you soon!